Anyhoo, i reckon if there's one thing that the world needs, its more inanimate plaster objects on top of streetlamps. Keep it up! There's gnodoubt that Blackwood is a much friendlier place with gnomes about Although it's obvious that some people out their feel the need to destroy these cute little guys, it's great that the gnome frown-police have returned in force to see in the summer How can you possibly be glum when there's a 9 inch man with a red hat and strangely coloured trousers looking down on you? 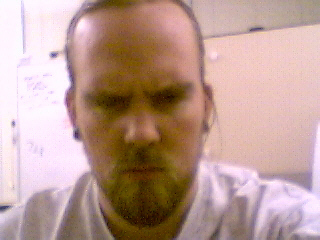 Do you think this guy would be frowning if he could see this atop his computer?! I think not! I'm not going to write the rest of Jelly King's comments here because he hurt my feelings Besides, if he strikes me down, I will become more powerful than he could possibly imagine! I'm sure updated news will be at hand gnomentarily! Y'know I'd tried to steer around the gnome pun thing as much as I could - but what the heck - from now on their will be gnomercy! Where have all the gnomes gone? I was thrilled to see their return and counted 20 in the Blackwood area. Then the next day there was only one left, yesterday it was still there, not saying where though, just in case you dont' know. Big question did you the people who put them up take them down again or have we got some gnome 'nabbers' in our midst? It was a nice visit while it lasted, I hope they come again. Nabbers? Nabbers is to subtle a word, downright gno-good gnongins is what they are! Don't just hope - donate! Boring old 'santa's' just dont' have the same appeal do they? The resurgence of the gnomes in Blackwood have convinced my partner and I to adopt a gnome for our home. 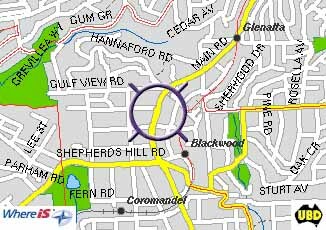 We have been to numerous gnome adpotion centres, such as K-Mart, Skinners, Coles, Mitre Ten and Big-W. I am glad to say, that with the resurgence of the gnomes in Blackwood, most gnomes have been adpoted. 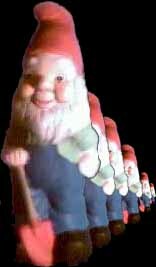 Good on you citizens of the southern side of Adelaide for adpoting gnomes in unprecidented numbers. Haggis wants a bazooka or a ak47 for christmas so he can shoot them, but we gave him a pickaxe instead. He looks forward to cleaving anyone who mucks with his garden beds. We look forward to the pictures! Haggis also wants to know if his brothers and sisters are planning a big shindig before X-Mas in Blackwood. He would like to meet his extended family. 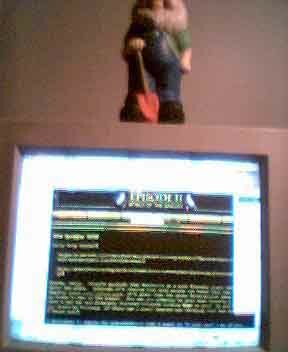 "I love the gnomes1 they make blackwood special and unique and i dont understand why anyone would have a problem with them. its a great adventure for all ages trying to spot them and pondering how they reachd the heights they have. GO GNOMES!" 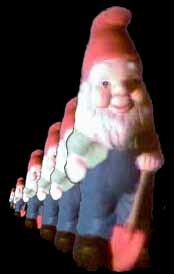 Whats the big deal about a few gnomes? they arent causing any harm or damage to anyone. if anything they are getting publicity for the busineses. To the gnome rangers: You are legends and keep up the good gnoming. i look forward to seeing all the gnomes replaced plus new ones added! Are we talking human years or gnome years? I love the gnomes and so does my 5 year old son!!!!!!!!. I have to be careful not to have an accident because I am busy trying to spot them. Could you please tell me where to buy them (they are so cute) because my son has asked Santa for one for Christmas. Keep them coming and curses to those who destroy or remove them. You could try dropping in to Skinners and asking if they have any If they don't; they should! It is rumoured that gnomes not unlike those found in Blackwood can be obtained here Gnomes make excellent gifts at Christmas time! Thankyou for bringing some simple , clean fun and enjoyment to our weekend walks around the beautiful suburb of Blackwood. Thanks, Peter. It is sad that so many gnomes have fallen in such a short time, but I know that it's comments like yours that make the Gnome Rangers want to keep Blackwood Gnomed! Love the little critters. The Blackwood Hills dwellers should expand this movement and cover the entire district with gnomes. What a fantastic sight. We would be gnome famous and people would come gnome spotting from everywhere. 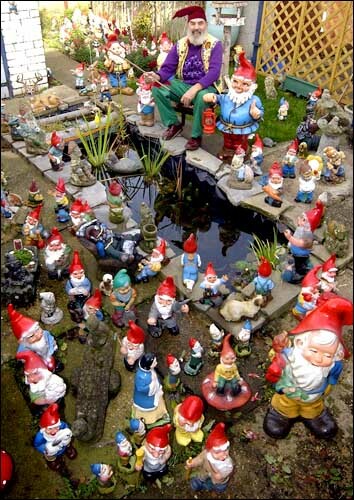 Encourage all residents to buy one (or more) gnomes and place in strategic sites. Boo to businesses who reject gnomes. We should boycott them. Promote gnome friendly businesses who welcome our little friends. Keep up the good work. As far as gnome-friendly businesses go, nothing has come close to John Messer (different John) of Blackwood Sound I hope all local residents will consider Blackwood Sound for their Hi-Fi/music needs!